Ugh. We’ve ALL heard this before… a classic bro-marketing tactic to scare people into buying. With the conscious collective evolving into a more heart-centered space, bro-marketing is dying. More and more people are feeling disgusted by the bro-marketing style and are craving something that feels more genuine and real. 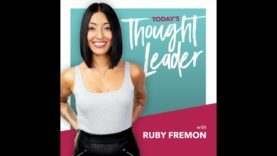 Tune into this edition of Thursday’s Thought and learn what bro-marketing is, why it’s dying, a powerful reframe for sales, and 5 tips to enroll people into you.